The Alliance of European Conservatives and Reformists (AECR) announced on Thursday (20 February) that they would not put forward a candidate for the European Commission presidency, calling the parties’ initiative for single candidates “an old 1950-style vision”. “We believe that the voice of this growing group of people should be heard in the debates, but we cannot subscribe to a scheme that will give the President of the Commission an artificial mandate from the people, even though most people have never even heard of him,” Zahradil added. The Alliance of European Conservatives and Reformists (AECR) is a pan-European party with members in 17 countries, 12 of which are EU member states. The party is related to the parliamentary group the European Conservatives and Reformists, and the British Conservatives are the dominating political force in the party and group. The party also released a video in which it calls the initiative of European parties “an old 1950-style vision” that “is setting up a government where there is no nation”. The European Parliament has announced its election campaign under the slogan “This time it’s different”, in which the indirect election of the next European Commission president is a cornerstone. The Lisbon Treaty (which came into force in December 2009) grants the European Parliament the power to elect the person for the job. Council must also “take into account” the election results and hold “appropriate consultations” with the EP before nominating their top choice, the treaty states. Parties have taken the initiative to nominate their own frontrunners, who serve as potential successors to José Manuel Barroso, the current president of the EU executive. Martin Schulz, the president of the European Parliament, was unopposed in his bid to lead the pan-European socialist campaign. The European Greens selected two MEPs, José Bové and Ska Keller, in an online primary process. And the president of the ALDE group, Guy Verhofstadt, will lead the liberals’ campaign. 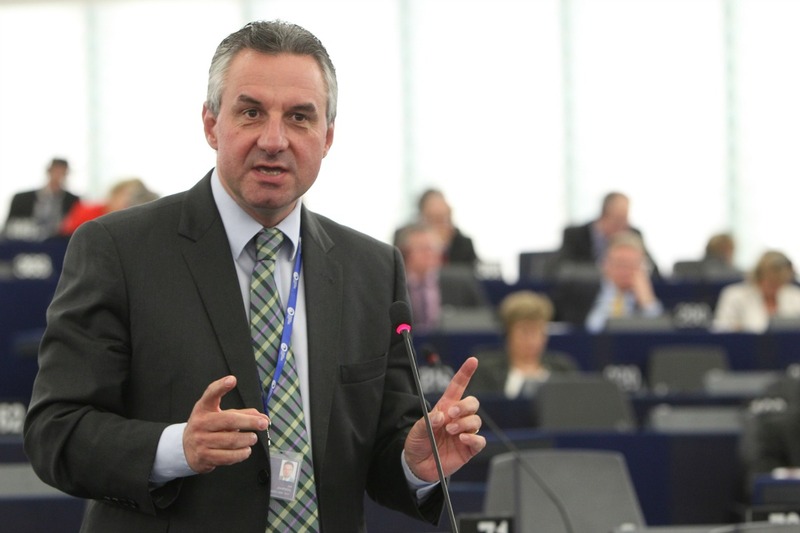 The EPP is the last major political family to select its frontrunner, at an electoral congress in Dublin on 6-7 March. Top contenders are Luxembourg’s former Prime Minister Jean-Claude Juncker, French EU commissioner Michel Barnier and Latvian former PM Valdis Dombrovskis. While European parties and a majority in the European Parliament have pushed this initiative to select single candidates, prominent EU leaders like German Chancellor Angela Merkel and European Council President Herman Van Rompuy have also expressed cautious doubts. “If you keep the same competence for the top job, you organise the disappointment in advance,” Van Rompuy said earlier. European Parliament, parties and many others have pushed for these parties to nominate their front-runners in the election campaigns. This would make the European elections a de facto race for the Commission president seat, would politicise the campaigns and could increase voter turnout, they say. But others have argued that the European parties’ push for own candidates may not be the best solution. Raising expectations could easily lead to disappointment, Herman Van Rompuy has said repeatedly, calling for caution in case the European Council chooses another candidate than the winning party’s frontrunner. The Conservatives are wrong– the idea of excluding normal people from the Commission and making it an exclusive zone for politicians is not a 1950s vision. It is the 1960s vision of Charles de Gaulle who wanted to turn the Commission into a political secretariat (Fouchet Plan). The treaties say that the Commission should be open to all citizens who are independent (and have the necessary experience). Thus being a member of a political party contradicts and violates the treaties. It says they should not take instructions nor seek instructions from any body, whether a government or a political party or any interest group. The present Treaty only adds that the Commission should be selected at the time of the EP elections. It does not say that an elected MEP can then suddenly become a member of the Commission. That is obvious non-sense. It’s just amazing how many contortionist moves are necessary for someone to convince themselves that the EU does not exist and that nobody can be it’s legitimate leader. Or that a group who believe that the EU should be torn up seeks to be represented there, but cannot make sense of electing a representative leader. Why bother even getting out of bed?